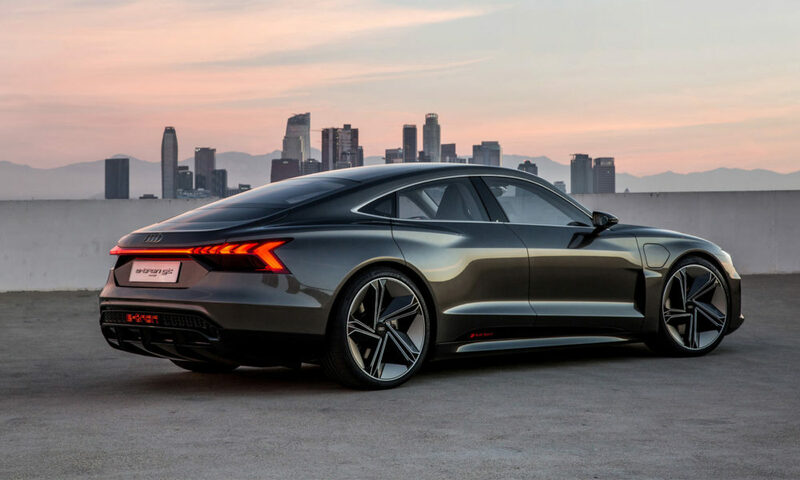 Although the four-door coupes have been in existence for a long time, the body style was made popular by the Porsche Panamera, arguably. 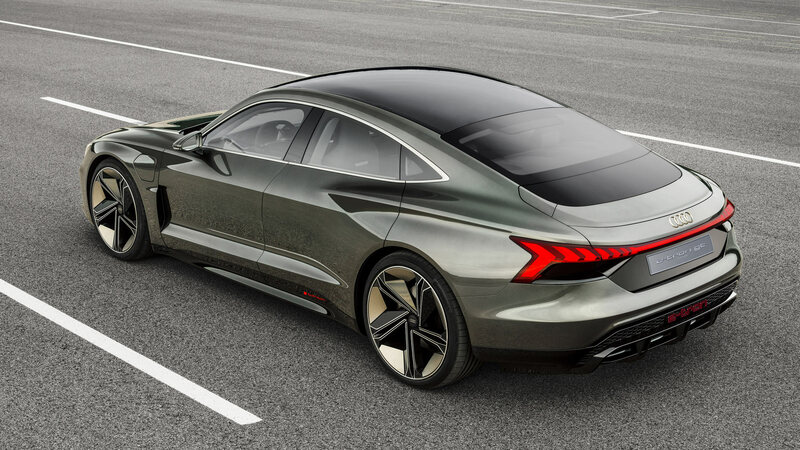 The second generation model’s sloping roofline makes it look like a stretched 911 and everyone who disliked the first generation model, fell in love with the second one. Not too long ago, the GT 4-door from Affalterbach joined the segment. Audi already has the A7, but its not really the same niche is it? 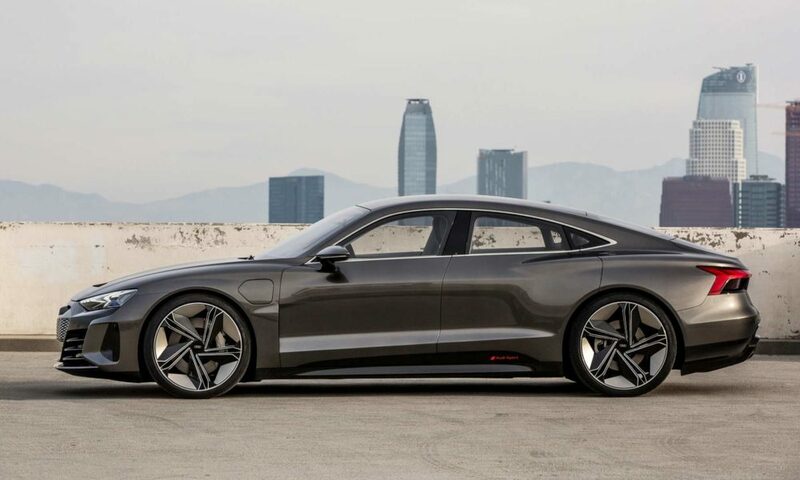 Which is why there’s this new e-tron GT concept and as the name suggests, its an all-electric four-door GT. The designers have done a great job in making the car look like it has time traveled from 2025. At front, there are matrix LED headlamps with laser high beam which perform animations to welcome the driver. A light strip runs across the entire width of the rear, which dissipates at the outer edges into individual wedge-shaped LED segments. They’re animated too. Rounding off the exterior looks are the massive 22-inch aerodynamically optimized wheels. They also provide cooling for the brakes. The interior layout looks neat and as we can see in the picture, it is focused on the driver. 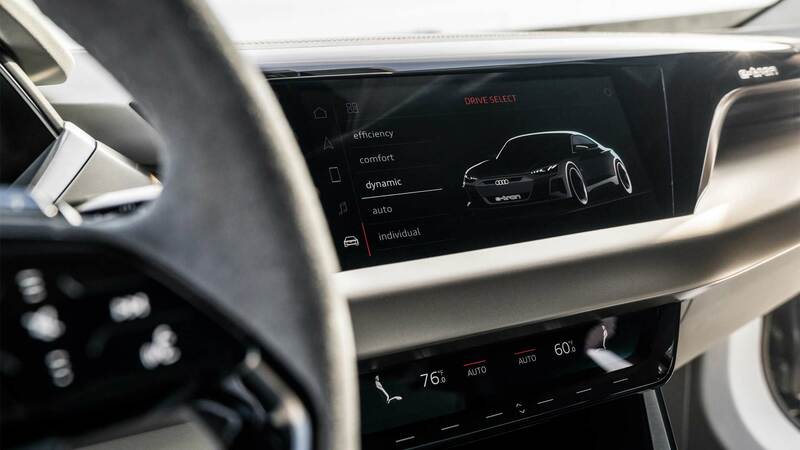 Both the central touchscreen and the one to control the air conditioning is finished in gloss black. 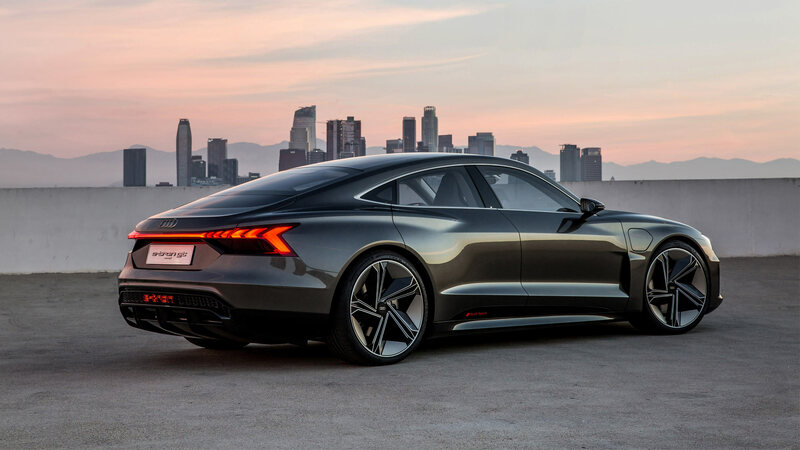 Audi claims that the Sport seats inspired by motor racing in both rows provide optimum lateral support even while cornering at speed. 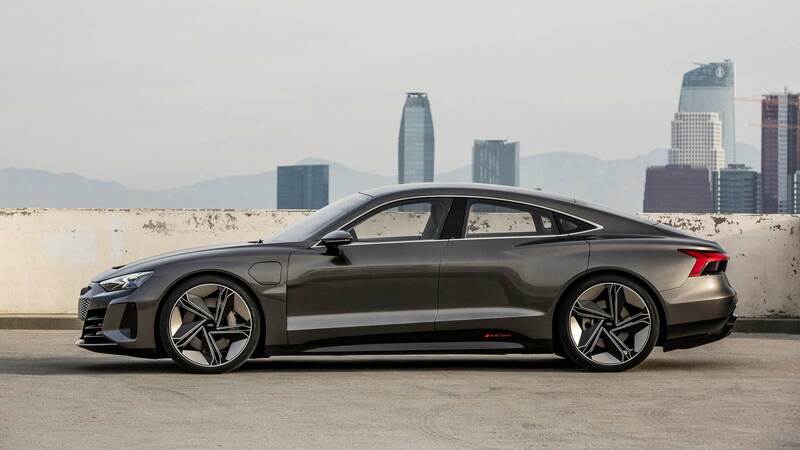 Furthermore, there are no animal-based products and the e-tron GT comes with a vegan interior. 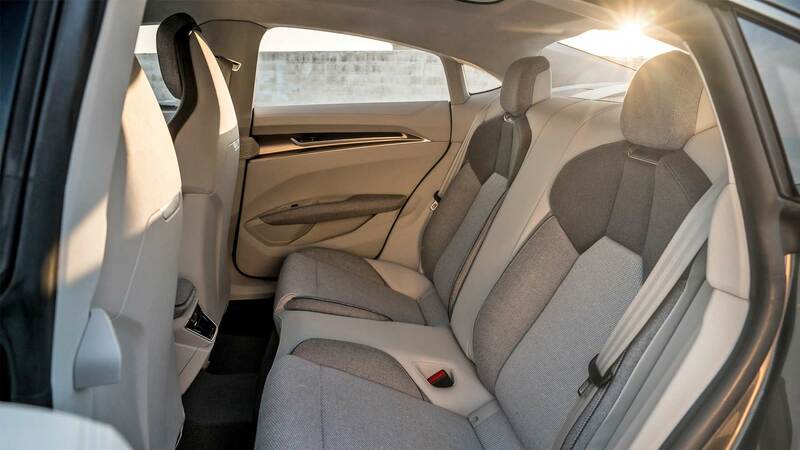 Synthetic leather is used on the seats and other trim surfaces. 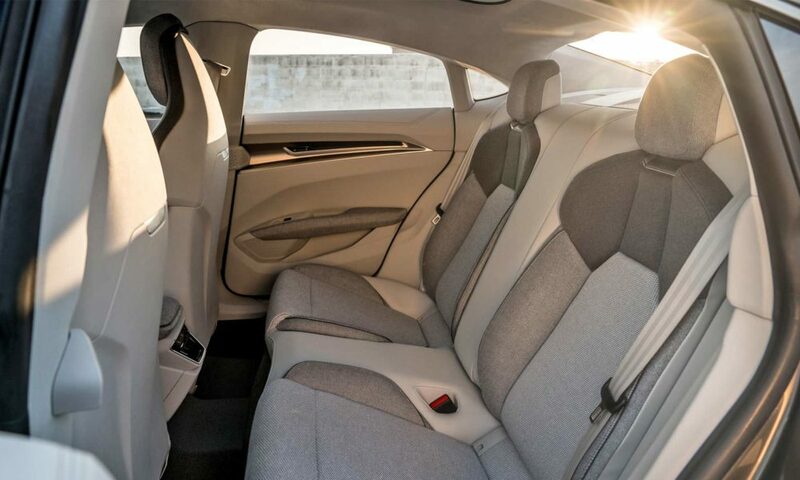 Fabrics made from recycled fibers are used on the seat cushions as well as the armrests and on the center console. Microfiber material adorns the headlining and the window pillar trims. Even the deep-pile floor carpet is made from sustainable Econyl yarn, a recycled fiber made from used fishing nets. The e-tron GT concept measures 4.96-metre in length, 1.96-metre in width and 1.38‑metre in height. Wheelbase measures 2.90 metres. 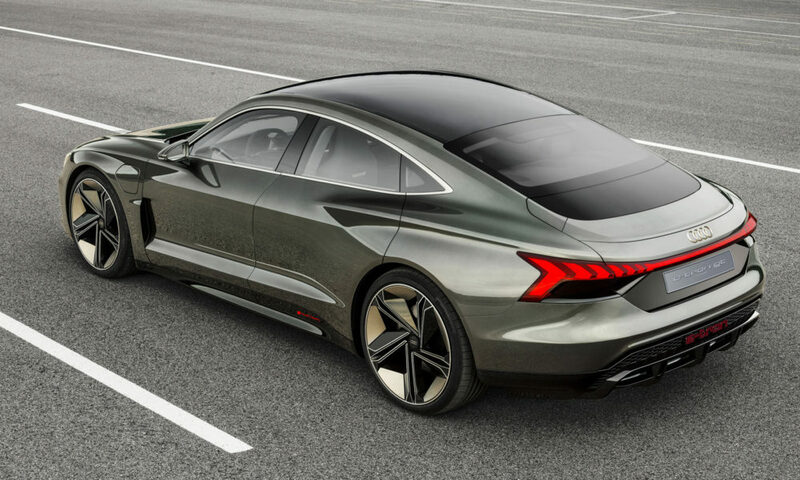 However, the sloping roofline seems to have affected the rear headroom. 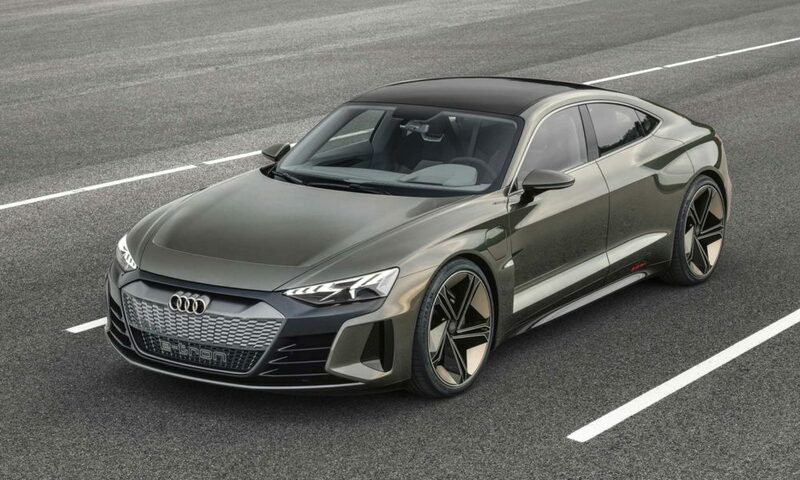 Audi says that the car offers 450 liters of luggage capacity and under the hood, there’s an extra 100 liters of capacity. As for the construction, the lightweight body is made from multiple materials. The roof section is made from carbon along with numerous aluminum components and the supporting elements are made from high-strength steel. 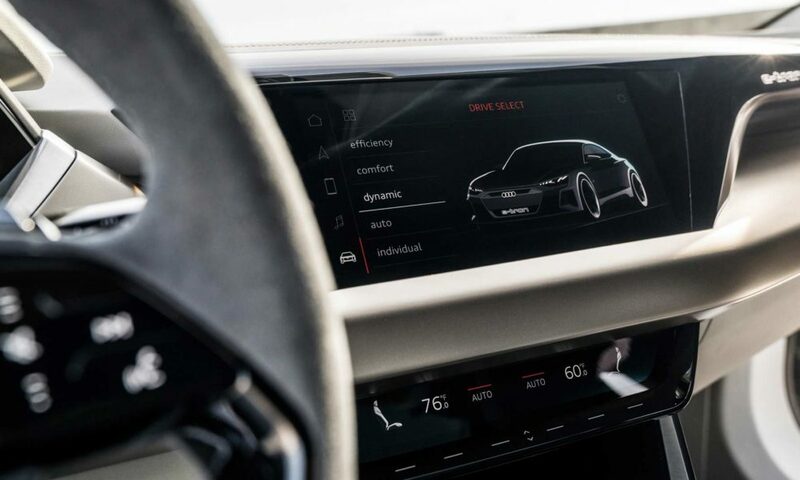 The platform is developed in collaboration with Porsche. 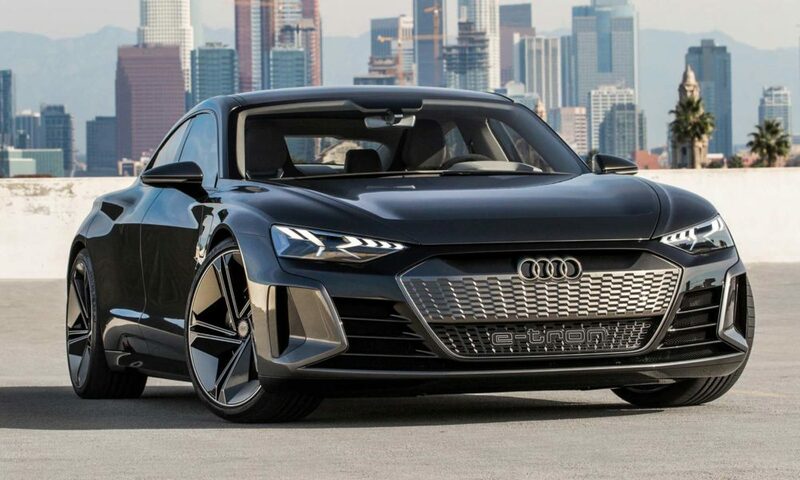 The Premium Platform Electric (PPE) will be the foundation for many Audi models in the future. 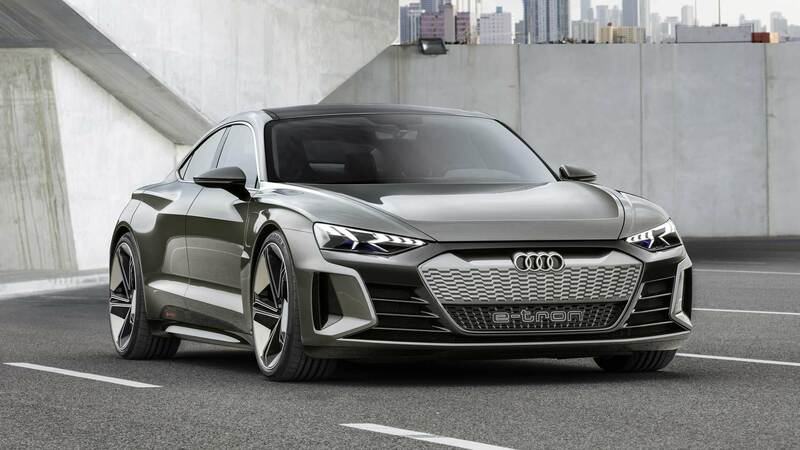 Moving on to the business end of the story, the e-tron GT has 434 kW (582 bhp) of system power from electric motors at the front and rear axles. Since there is no mechanical link between the front and rear axle, an electronic control system coordinates the drive between the axles as well as between left and right wheels, meaning optimum traction and just the desired amount of slip. 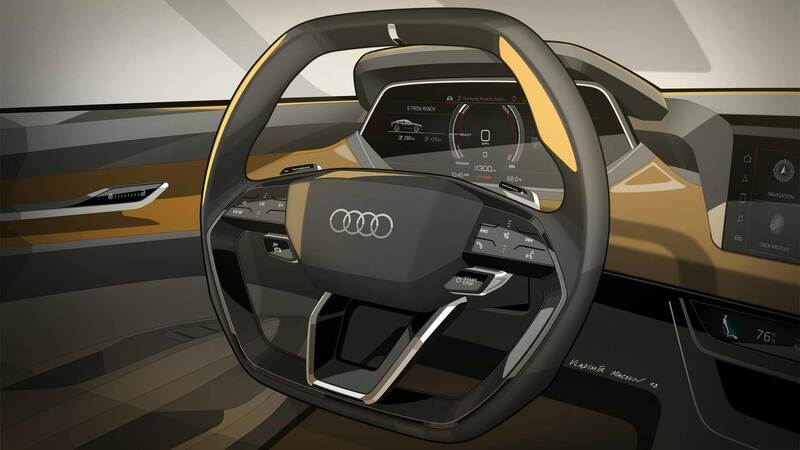 Audi claims a 0 to 100 km/h acceleration in around 3.5 seconds and a top speed of 240 km/h. The top speed is limited in order to maximize the range. The 90 kWh lithium-ion battery is good for a range of 400 km (as per WLTP standards). The recuperation system increases the range by up to 30 percent. 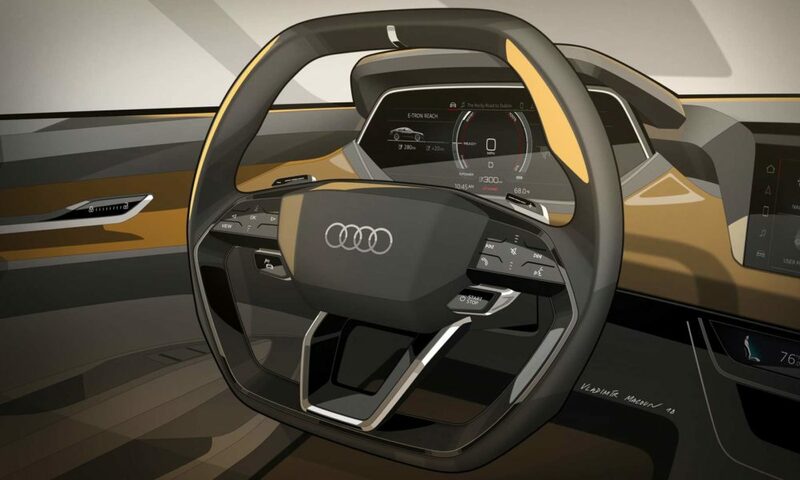 Different recuperation modes are combined – manual coasting recuperation using the shift paddles, automatic coasting recuperation via the predictive efficiency assist, and brake recuperation with smooth transition between electric and hydraulic deceleration. 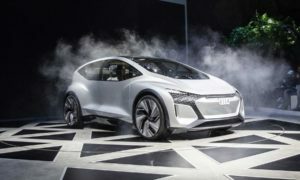 Up to 0.3 g, the e-tron GT recuperates energy solely via the electric motors, without using the conventional brake – that covers over 90% of all decelerations. 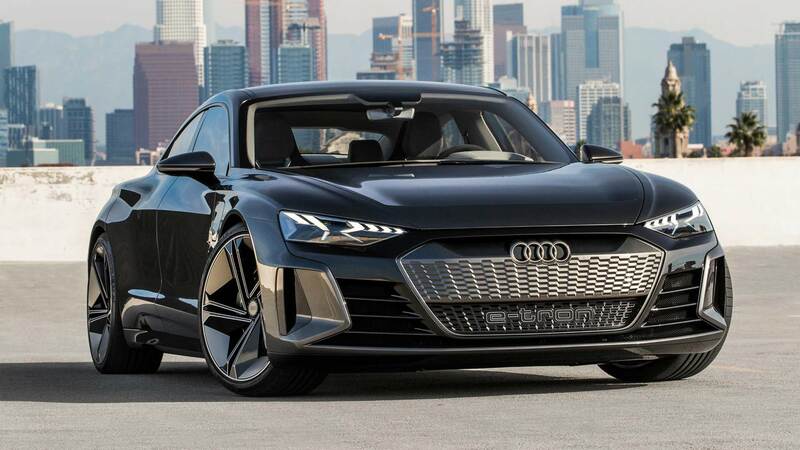 As a result, the energy is fed back to the battery in practically all normal braking maneuvers, Audi says. The wheel brakes are involved only when the driver decelerates by more than 0.3 g using the brake pedal. 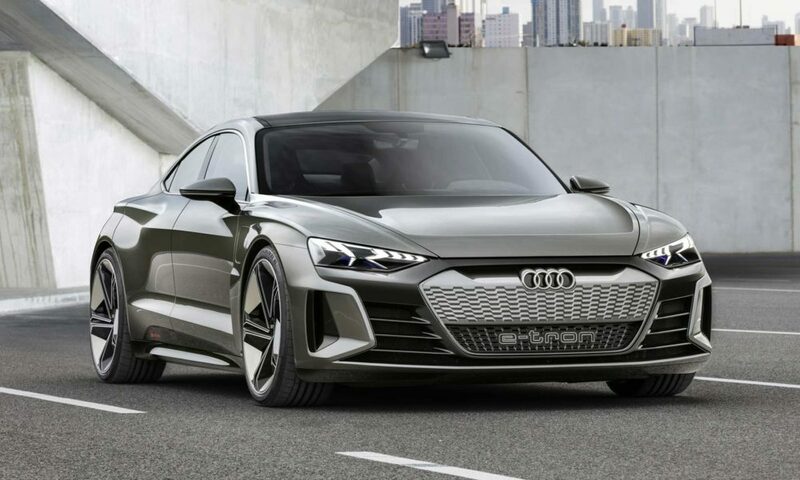 As for charging times, the e-tron GT is fitted with an 800-volt system and takes around 20 minutes to recharge the battery to 80 percent of its capacity. 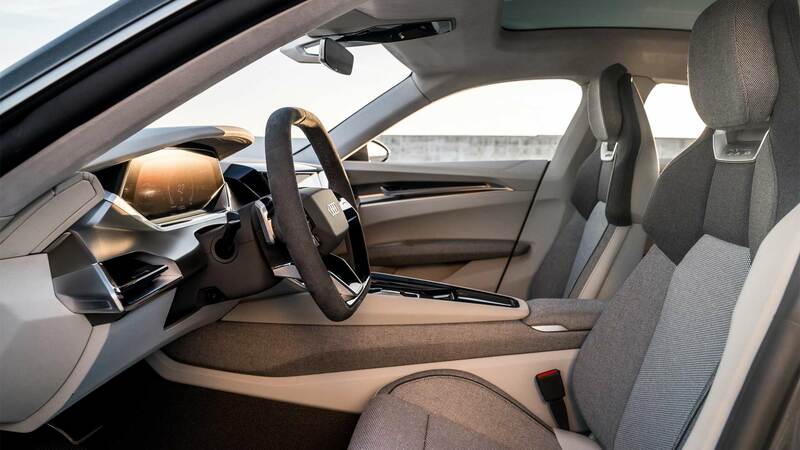 The car can also be recharged at charging points with lower voltages, and is capable of wireless charging too. 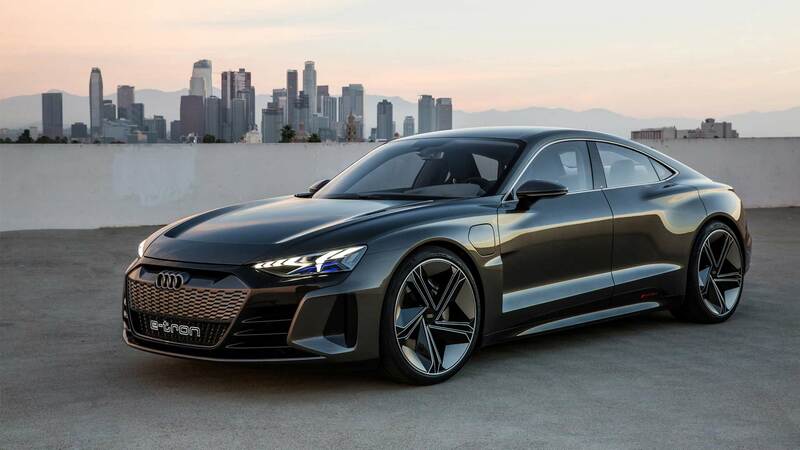 Series production is planned for late 2020 and deliveries will begin in early 2021.